For the first time in a long time, children dressed in costumes and shrieking “Trick or Treat” will clamor at the stoop of my house on October 31st. In California, we lived at the end of a long and dark street where no child ever ventured; over the course of the past sixteen years, I didn’t buy even one Mars Bar for the holiday and my doorbell didn’t ring a single time. Here in Maryland, we live on a neighborhood street where the school bus stops across from my new home every morning and every afternoon. We have kids next door, right through the pine trees, and I can hear them out on their scooters, chasing their dog, playing basketball in the driveway. 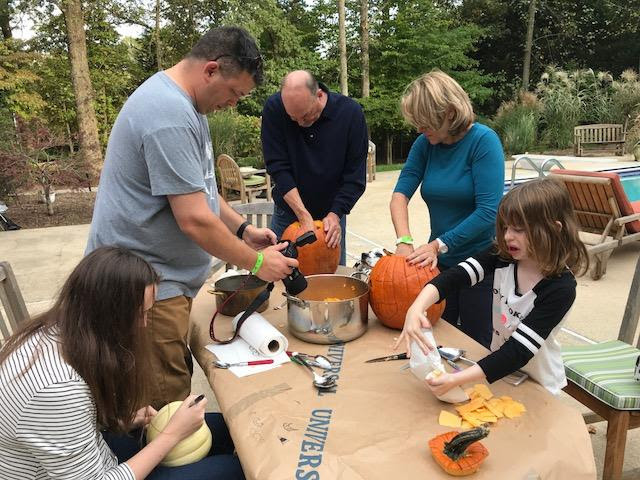 This weekend we are going to the pumpkin patch and a corn maze with our Maryland grandchildren, and then will carve some jack-o’-lanterns to light up the front steps. On Tuesday night, our door will be open and the candy bowl full. This is only one of the things that is different here. There are others that aren’t so pleasant. For instance, currently topping the chart on my Most Hated Maryland Hit Parade is the dew-drenched lawn and the loose earth under the trees in the backyard, and the way the two combine to coat the dogs’ paws so thickly that they look as if they’re wearing little black booties. At six a.m., sans café, I realize I’ve been spoiled by California’s drought: I never before had to scrub and dry twelve paws before breakfast to keep my kitchen floor from turning into a mud pit. There’s more of course, all a normal part of transplanting yourself–but not much fun to deal with. 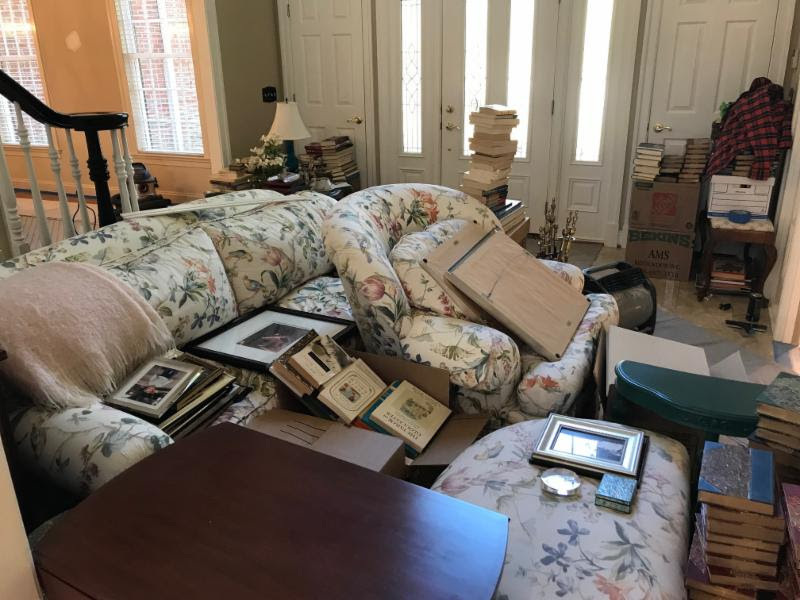 The boxes are still stacked toward the ceilings. The thousands of books (no exaggeration) that I unpacked so carefully (and stupidly) are now piled on every available surface as their shelves get repainted. Artwork and framed photographs lurk in a variety of corners because we can’t figure out where to hang them. People ask me, “So you’ve been here a month now–how does it feel to be settled in?” and though I smile as I offer some pleasantry, all I can really think of is how far from being settled I am. I’ve got my computer on a formica counter in my study right now, as I await the arrival of a regular desk with file cabinets and drawers. Only then will I be able to unpack all the boxes filled with supplies and printer cartridges and book mailers that line the room right now. My set-up is a lot less than ideal, but I’m making do. Gulliver’s photo and collar are right beside my keyboard, and I’ve even managed to get back to work a bit. On a truly positive note, I have a fireplace in my writing room, and because it’s a chilly morning I’m feeling especially grateful as I sit here on the Sunday before Halloween. Little by little, I am building a nest for myself. 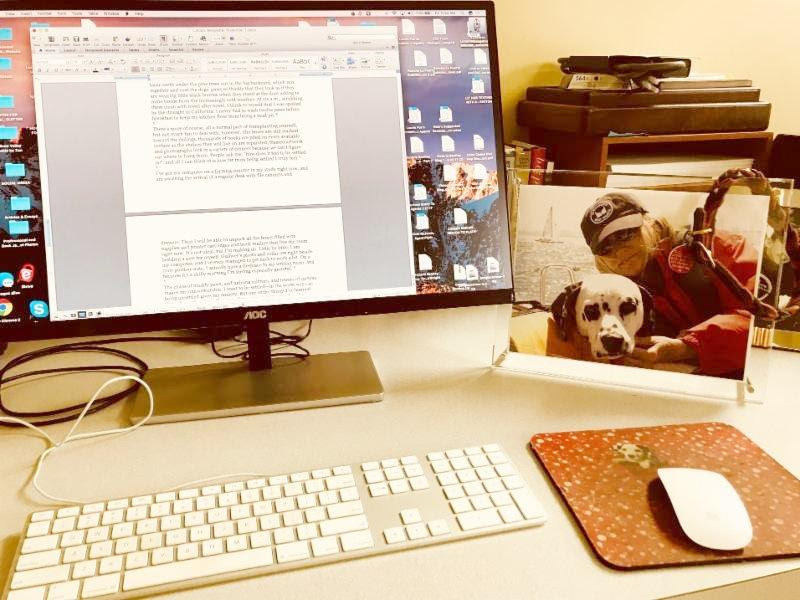 The chaos created by muddy paws, and unhung mirrors, and towers of cartons reminds me daily of the enormous, unexpected turmoil into which we plunged ourselves as we completed a move three thousand miles across the country in less than five weeks. It reminds me of the precious people and places I left behind. Of how truly unsettled I really still am–and how being unsettled gives me agita. However, one of the most valuable lessons I’ve learned through my thirty some odd years of therapy is that sometimes you’ve just got to bear being uncomfortable. Or even anxious. It’s part of life from time to time, and adults don’t get to have tantrums about things that don’t suit them or go exactly the way they want. And if you do grit your teeth and get past whatever’s bothering you, you will be, as the old cliché says, “the stronger for it.” Life is full of discomforts–both big and small–so we might as well accept, rather than fight, our anxieties: resisting is just a waste of valuable energy that affects the outcome not one whit. Eventually my desk will arrive from Crate and Barrel, the books will get shelved again, the dishes washed and stowed away, the paintings hung. And with all that will come some serenity and peace. 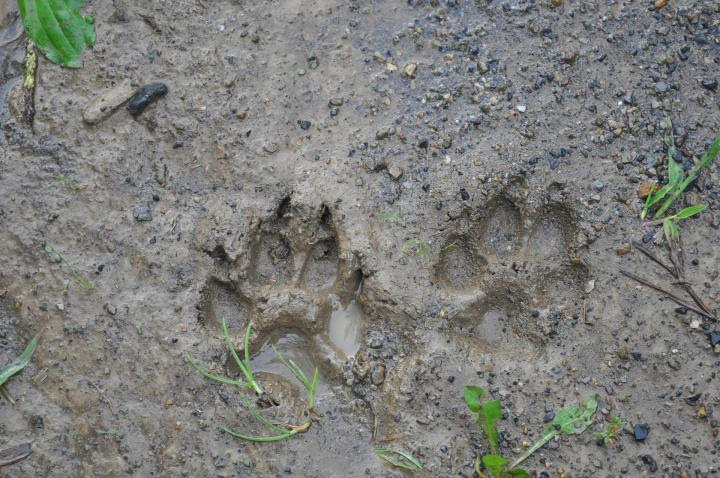 The dogs’ muddy paws, on the other hand, will continue to prove a challenge. Dirty Dalmatians or not, on Tuesday night I will open my door to those Trick or Treaters with enthusiasm. They are my real welcome to the neighborhood. And, after all, I’ve already received my true reward for my unsettled week: a warm afternoon spent with my granddaughters, both of whom turn out to be pumpkin carvers par excellence.